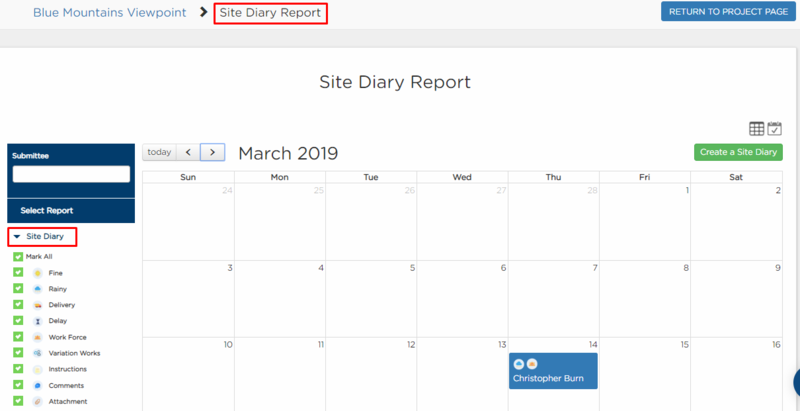 Calendar Reports display a calendar view of your reports page. This allows you to easily view the submissions based on the date. 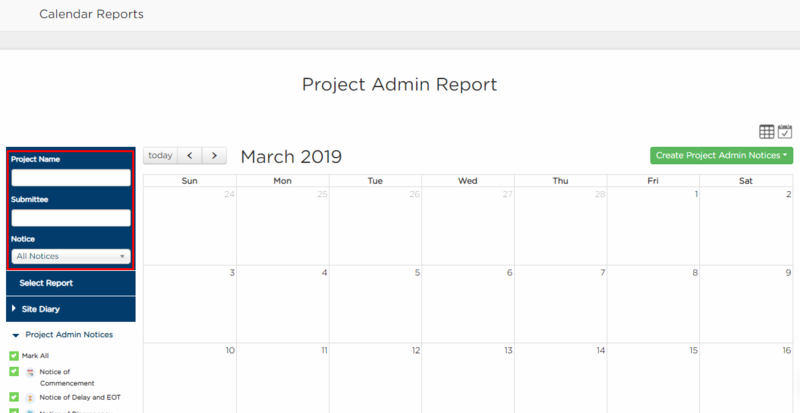 A.1 From your project dashboard, click the Reports button. 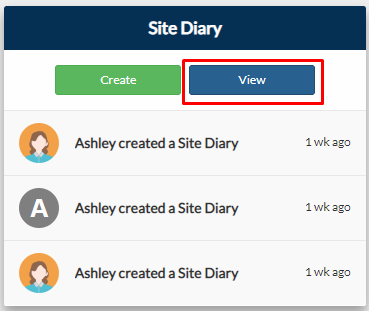 B.1 From your project page, click the View button of the specific form containing the reports you'd like to see. B.2 By default, it will display the reports in List View. 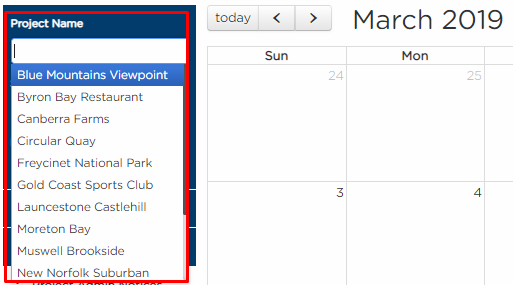 Click the Calendar View option. 2. 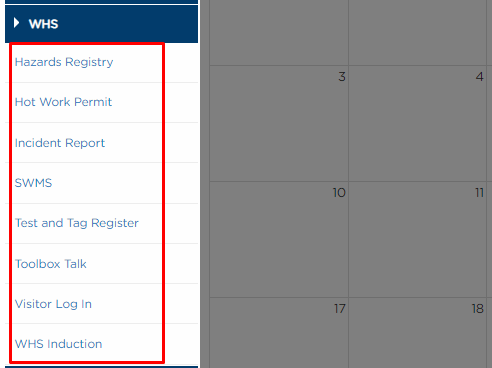 Select the type of report you'd like to view by choosing from the dropdown options. You may click on WHS tab to view more forms. Note: If you've accessed the report through the project page, the respective report will display based on the tile you chose. 3. You may use the filters on the left side panel. You may use this filter to view only the submissions for a particular project. You may use this filter if you want to view the submissions based on the user who submitted the form. The list of users that will appear are only those who submitted the corresponding forms. 4. 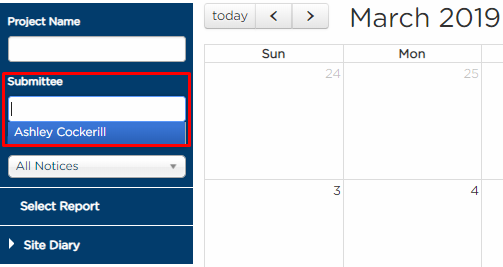 You can directly submit from the calendar report itself by clicking the Create button which will open a new tab to your new form. This button is available for all your reports. 5. 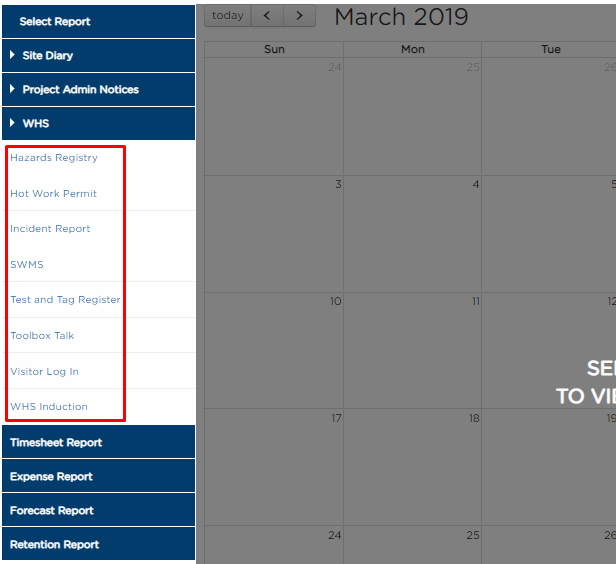 After submitting your newly created form, you will be redirected back to the Calendar Report reflecting your recent submission. 1. 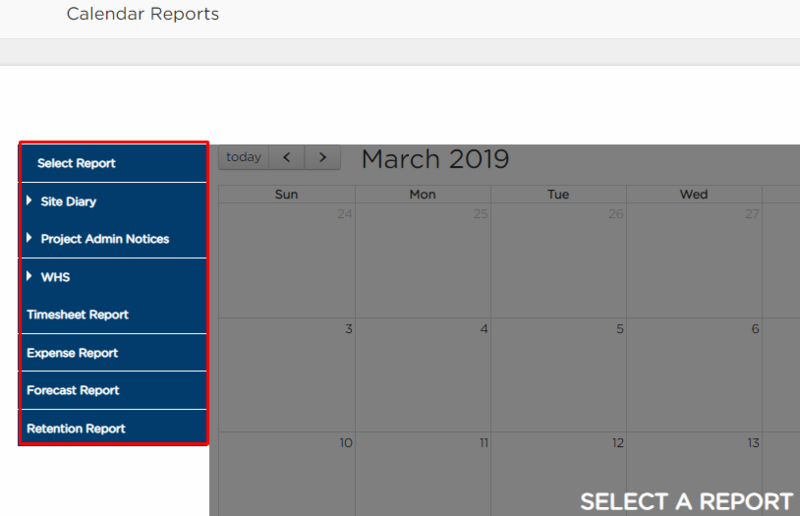 Your filters will depend on your selected report. 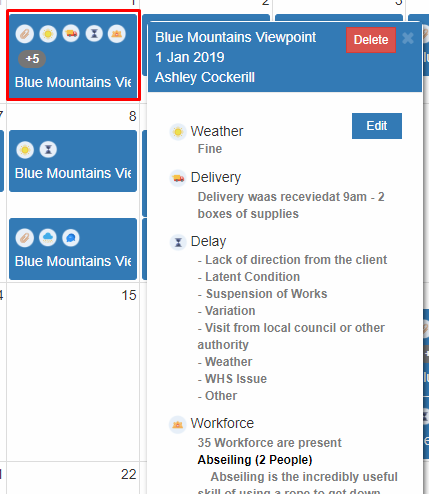 For example, when you select Project Admin Notice, there will be a notice filter and your displayed data will depend on your submission's type of notice. 4. You may click on the tile to view a brief summary of the submission. 5. Click Edit to update your submission. 6. Click Delete to remove the submission. 7. Only the owner can view all the submissions. If the user is not an owner, he/she can only see his/her own submissions. 8. The displayed reports available are only for users who have access. If a user cannot view the report, you may check on User Access in order to give him/her access.